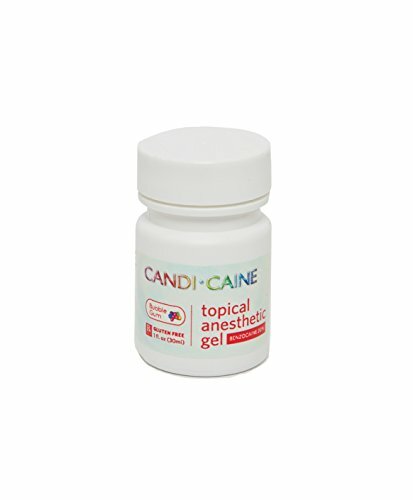 Candi-caine topical gels are fast acting anesthetic gels delivering maximum strength Benzocaine. Available in 7 delicious flavors with no bitter after taste. The gel comforts patients with wounds, irritations and provides temporary Relief of pain during procedures including injections, periodontal curettage, scaling and intra-oral radiography. Available in 1 oz. (30 ml) bottles. Try candi-caine topical gels and your patients will Thank you for the special care you provide.